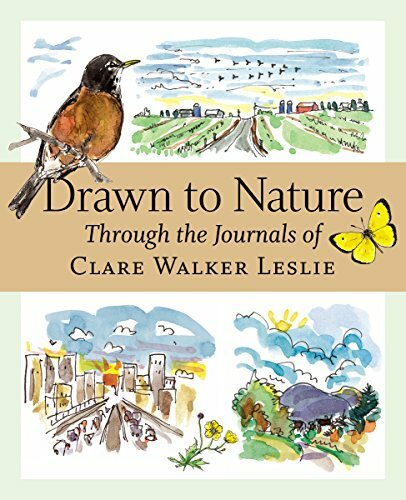 In March, just as the winter was drawing to a close, I had the good fortune to attend a class with nature journal author Clare Walker Leslie. We met one thin-sunned Sunday afternoon at the Storey Chapel in Mount Auburn Cemetery, Cambridge, Massachusetts. 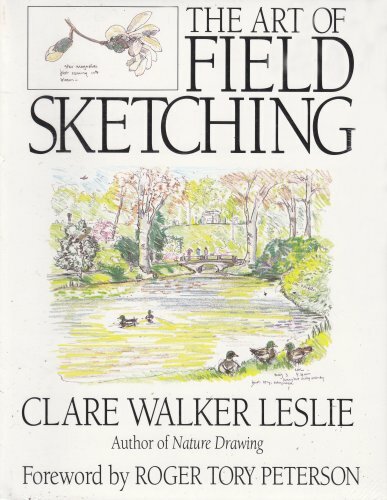 This was America's first garden cemetery and its mature and majestic plantings have been Leslie's most frequent drawing venue throughout her career. As a young mother, Leslie would drive her son, asleep in his car seat for his afternoon nap, to the dells, glades, and shady ponds of Mount Auburn's stunning landscape, ("park anywhere that does not have a green line in the road"), roll down the window, and draw. I love that she did not make an excuse but found a way to fit in this time for her creative passions. 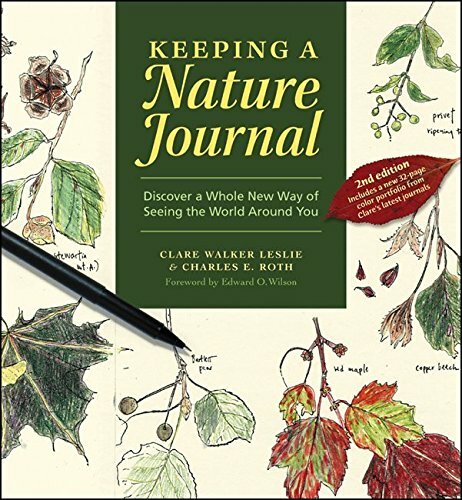 The fruit of so much diligence is Leslie's wide body of work on the many-faceted subject of nature journaling. 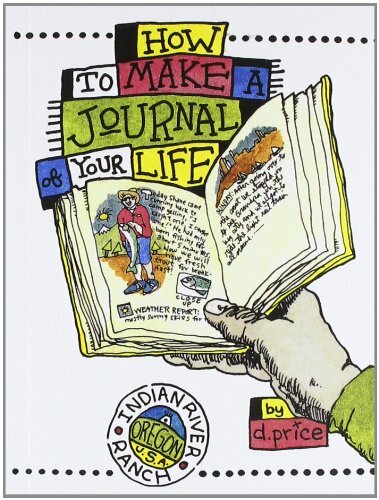 She claims she is the first to have codified nature journaling and that those who've come after her are imitating what she began. She certainly is the Grande Dame of the subject and it was a bit awe-inspiring to meet her. 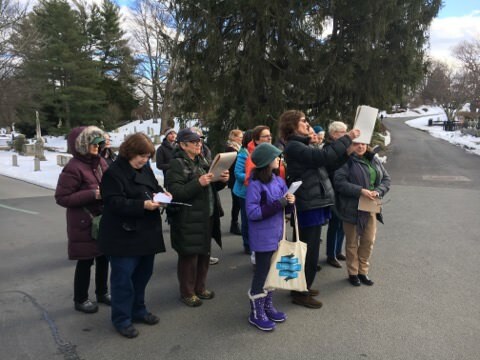 The class was the third of a series of three that Clare Walker Leslie taught at Mount Auburn during the past winter. 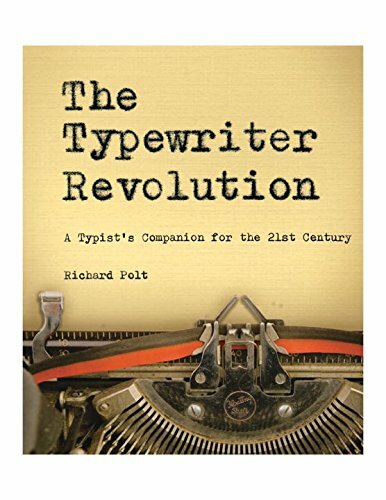 If you find yourself in the Cambridge, Massachusetts area and can attend, Leslie plans to repeat them in the winter of 2018-19. They are inexpensive, friendly, and helpful classes. 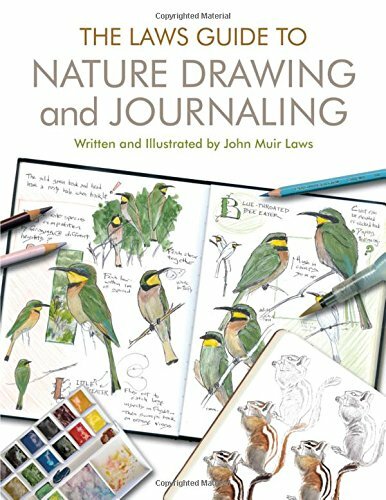 Rather like the practice of drawing bird or mammal skeletons, time spent drawing trees in winter builds your understanding of underlying structure. 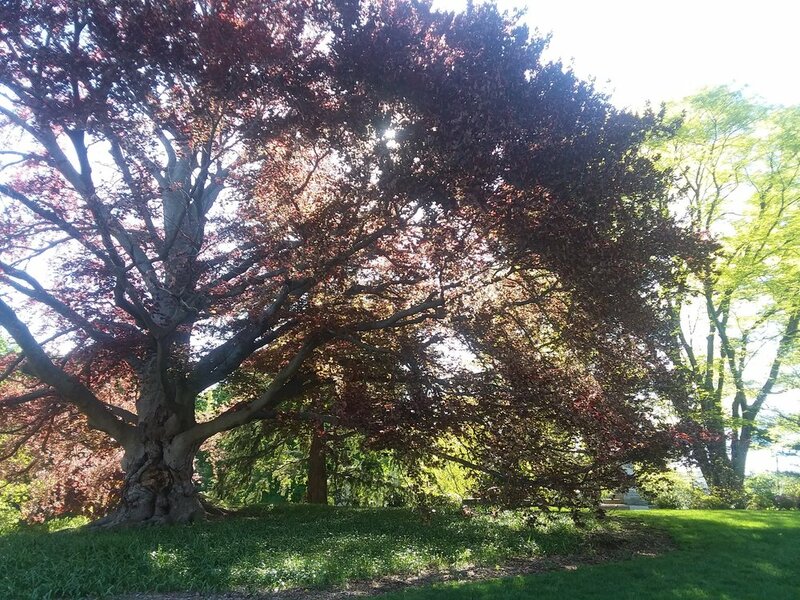 The tree in summer is a shrouded mystery of its underlying self but knowing how the branches section off from the trunk, among other hidden mysteries, though you only give a hint between the leaves, helps convey the believability of your tree. 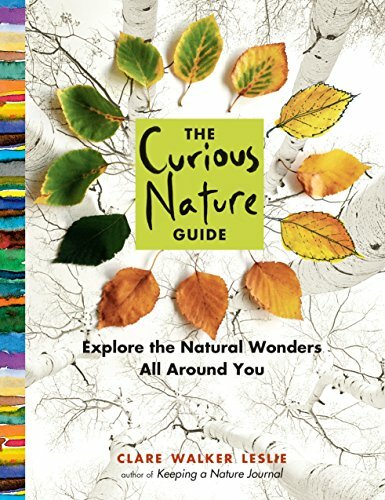 Leslie recommended using the silhouettes frequently found in tree guides and tracing them for practice, for year-round tree practice. 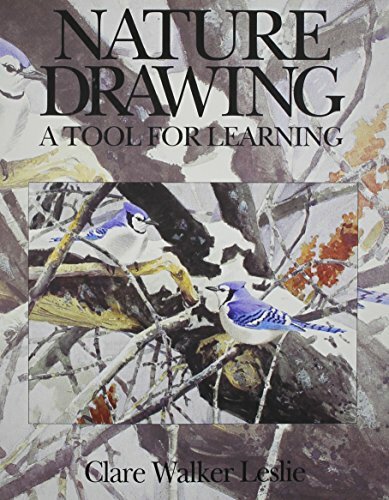 Her title Nature Drawing also contains the numerous examples of fine tree drawings by her favorite artists which she suggests copying. Adopting a tree to draw repeatedly is also an interesting practice. Leslie was pleased to show us her previous drawings of the majestic beech at the main gate entrance that we were to draw, a tree she has enjoyed for decades. While inside the shelter of the beautiful chapel, we warmed up our vision with blind contour drawings and limited contour drawings. We each chose from a wide selection of reproductions by various artists, enjoying a good groan over our efforts, yet with encouragement to continue. 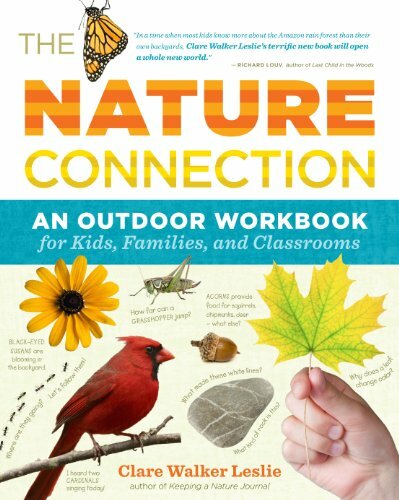 She explained effective ways to show that a branch is growing away or towards the viewer, depending on the direction of the contour lines, along with helpful hints on reducing and simplifying the complications of so many details. This portion of the class ran over somewhat so only a brief time was spent outside drawing the enormous beech tree from life and I certainly did not complete my attempt. Yet I felt as though my eyes had been opened just a little more to see and understand trees. And my daughter who attended with me immediately put the knowledge to use as she joyfully sketched the emerging cherry tree blossoms around our neighborhood as the spring emerged. We revisited the cemetery this week and though I was with a posse of relatives and celebrating a lovely event, I paid a visit to the inviting beech, all the more poignant since it has to be cut down soon. The black marks on the trunk are indicative of it imminent need to be taken down for safety. 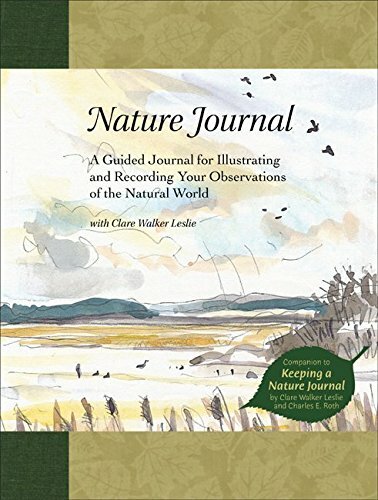 I did buy a copy of Clare Walker Leslie's blank book Nature Journal at the class and have been using it since. Unusual for a sketchbook, there are instructions at the beginning and end. And every detail of the tree drawing instructions that we received are contained there, if you are interested in learning from Leslie for yourself. Click any image to enlarge as a slideshow.